The much-anticipated squad of Indian cricket team for the upcoming World Cup was finally announced on Monday. It made an end to the numerous deliberations which were making rounds about a few unanswered questions in the team. From snubbing Ambat Rayudu to including experienced Dinesh Karthik, the 15-member team doubtlessly presented a few surprises to both fans as well as the pundits. The presence of only three mainstream fast-bowlers in the squad also made people question the selection committee headed by MSK Prasad. Since the tournament is going to last over a couple of months, how these three fast bowlers can handle the workload, was the question raised by a few too many. However, the people at the helm somehow answered this query by revealing that four more net bowlers will accompany the team in England. 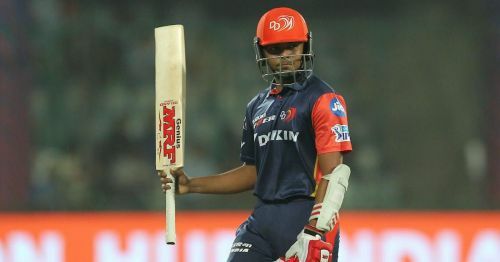 Pertinently, the selectors didn't include third opener else than KL Rahul, who is, however, one of the options proposed to play at the number four position in the squad. The duo of Shikhar Dhawan and Rohit Sharma will surely need to keep themselves up for the challenge, though BCCI will surely keep a back-up ready, in case any interruption takes place. In this piece, we look at the three back-up openers for team India in the World Cup. 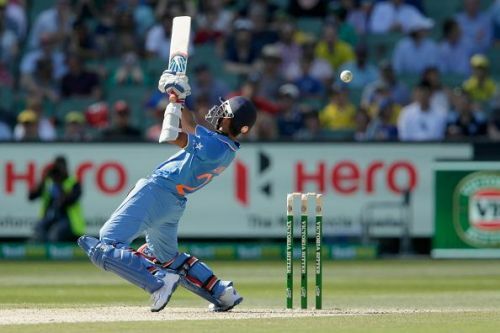 Ajinkya Rahane, who was once a crucial part of Indian ODI squad especially during overseas assignments, hasn't played any limited-overs cricket since February 2018. The right-handed batsman lost his form last year, hence failing to get back in the side as of yet. The Mumbai-born cricket owns over 2900 ODI runs, including three centuries and 24 fifties. Known for his special technique and patience, Rahane remains a top candidate to counter the tough conditions. The selectors might be looking at him as a back-up opener once India departs for the all-important World Cup. Ajinkya is presently leading Rajasthan Royals in the Indian Premier League. Mayank Agarwal had a dream start to his international career last year. The youngster debuted against Australia and opened the innings for India in the last two Tests, playing a few spectacular knocks. The right-handed batsman was rewarded with the cap after his consistent good run at the domestic level. The Karnataka cricketer having played some top List-A innings would surely be one of the back-up openers for India in the World Cup. If one looks at the present set of emerging Indian youngsters, the name of Prithvi Shaw appears in the front line. The Mumbai-born youngster has made a mark at the highest level despite being just 19 years of age. He first captained India to the 2018 U-19 World Cup victory and later scored a century on his Test debut. Shaw likes to play fearless cricket and goes after bowlers from the very first ball. He owns some exceptional skills with the bat and would surely be a back-up opener for the Men in Blue in the World Cup. ICC World Cup 2019: Who will be India's Backup Wicket-Keeper?